FloridaHauntedHouses.com recently sat down with Charles Odenz of Lockbox Escape Room, to discuss what's new at Lockbox Escape Room for the 2016 Halloween Season! Located in Davie, this interactive Escape Game experience features two new rooms for this season - Timeline and CIA Task Force. Grab some friends and take part in these immersive Escape Rooms where you'll be forced to work together as a team to make it out before time is up! Participants will have to search for clues through various puzzles, and they aren't always going to be easy to locate! Do you have what it takes to complete the challenge? What's new at Lockbox Escape Room for 2016? Do you have any new rides, attractions, or special features that Escape Game Seekers should know about? We have two new themes this year! 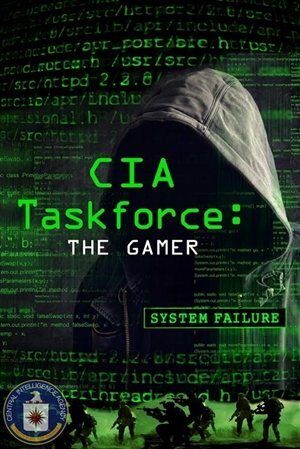 CIA Taskforce: The Gamer and Timeline. CIA Taskforce puts you in the shoes of a CIA investigator tasked with the mission of tracking down an infamous assassin. he ends up capturing you and you need to find your way out of his trap in time to stop him from carrying out his mission and find a way to capture him. In Timeline, you are locked in a basement where you father built a time machine to shield you from the toxin that has been released and destroying the world! 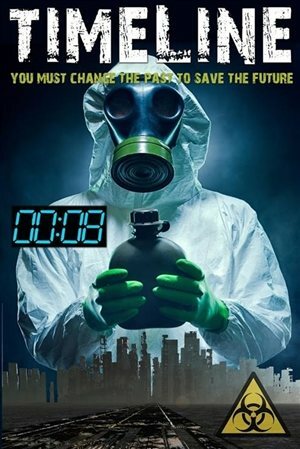 You need to find your way back in time and change something in order to save the world. We are excited about introducing our new concept to the community and we are excited to immerse ourselves in the industry! What differentiates Lockbox Escape Room from other local Escape Games in Florida? We are proud to say that we offer a unique form of entertainment where you are actually a part of the story line and you need to actually immerse yourself and participate to escape. We have a variety of high tech puzzles and an interactive flow of game play. I think this, along with our awesome staff will set us apart from other options. How long has Lockbox Escape Room been in business? Can you tell us a bit more about Lockbox Escape Room's history? We opened our doors on June 9th, 2016. Prior to our opening we spent over a year in development and are continuously designing more experiences for our customers. We originated from two brothers who saw the movie "Saw 2" and thought, hey, we could do something like that for Halloween! Flash forward about 10 years and our idea grew into a reality and we developed our escape room concept. What's your favorite experience since opening Lockbox Escape Room? Our favorite experience is seeing groups have that "Ah Ha" moment. when they were struggling with a puzzle and the time is ticking away and then something clicks for them and you can see it on there faces and the excitement or frustration when they finally get it. Event though we watch people do the same thing over and over, it never gets old seeing that reaction! How long is a typical Escape Game experience at Lockbox Escape Room from start to finish? Typically it is about 1-1.5 hours from the check in process thru the debrief. How has new technology (i.e. animatronics, special props, etc) helped you to enhance Lockbox Escape Room? The new, high tech props we have used help to give some "WOW" moments to the customers that they didn't even know were about to happen. Can Lockbox Escape Room accommodate large groups? How many people can experience Lockbox Escape Room together as a group? For our in-store facility we can host large groups. We would need some more specifics as to how the event would want to be run but we have hosted groups of 40-50 before. We also have the ability to host an event at your own venue with one of our portable experiences that can cater to any group size! Does Lockbox Escape Room offer any special deals, discounts, or coupons? We offer the following discounts: Student, military, group and occasionally a random giveaway or weekend promotion. Anything else you'd like to let us know about Lockbox Escape Room? We can host an event on any day with a prior appointment. So, we look forward to seeing you at your next event!